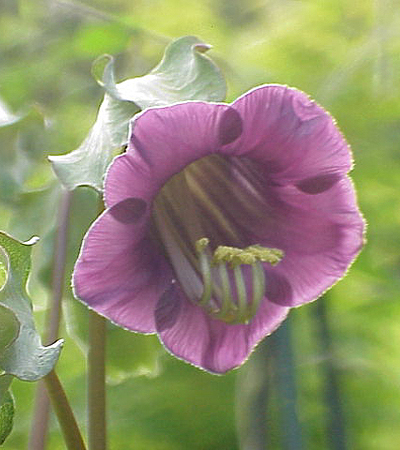 I was given seed of Cobaea scandens two years ago - the picture was taken in 2009. It had managed to survive the winter of 2008-9 - but it is not normally expected to survive outdoors and needs to be overwintered indoors at 7oc or treated as an annual. 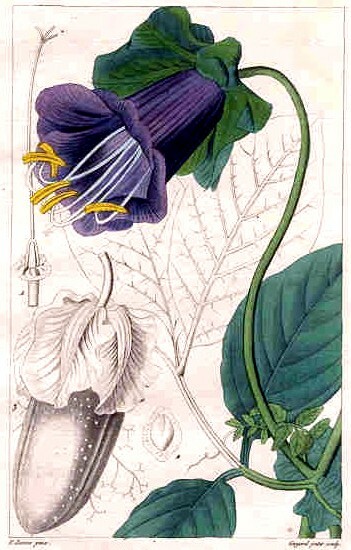 The drawing is by Pancrace Bessa, who exhibited in the Paris salons in the early 19th century. It doesn't really qualify as an alpine - actually it's a tropical climber, from tropical America, a member of the polemonaceae, and has become a weed in New Zealand - an attractive weed. 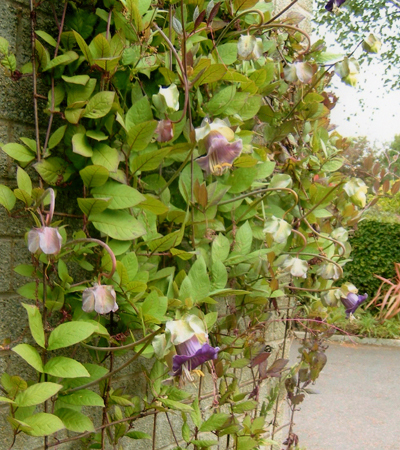 Also known as the Cup and Saucer vine, or as Cathedral bells.